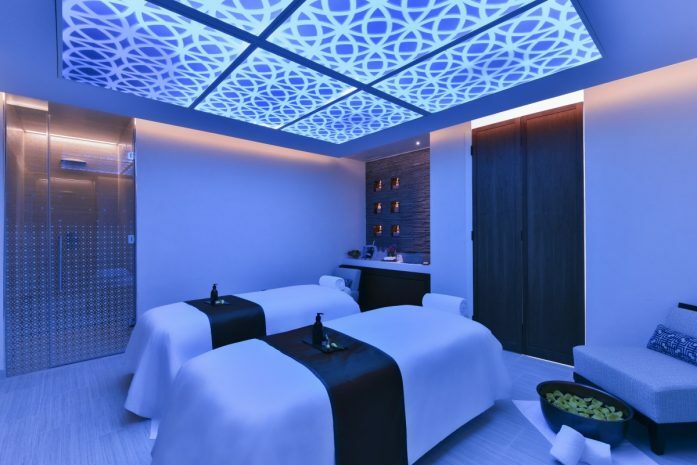 At Alwadi Hotel Doha, we know that our guest's wellbeing is essential to their energy, beauty and balance. Wellbeing at MGallery is about igniting our guests’ inner spark. We have developed a fully integrated membership that focuses on wellness, beauty and lifestyle. Wellbeing permeates through Alwadi Hotel Doha, from our spa and fitness centre to our restaurants and beauty partners. Relax in our temperature-controlled outdoor pool and there’s a separate children’s pool so they can have fun while you soak up the sun. Our wet area features separate facilities for ladies and men including sauna, aromatic steam room, locker areas and a relaxation room.